There are some musical instruments which are not particularly well known, but the sound they produce is nothing short of exceptional. One such underrated instrument is the Ukulele. 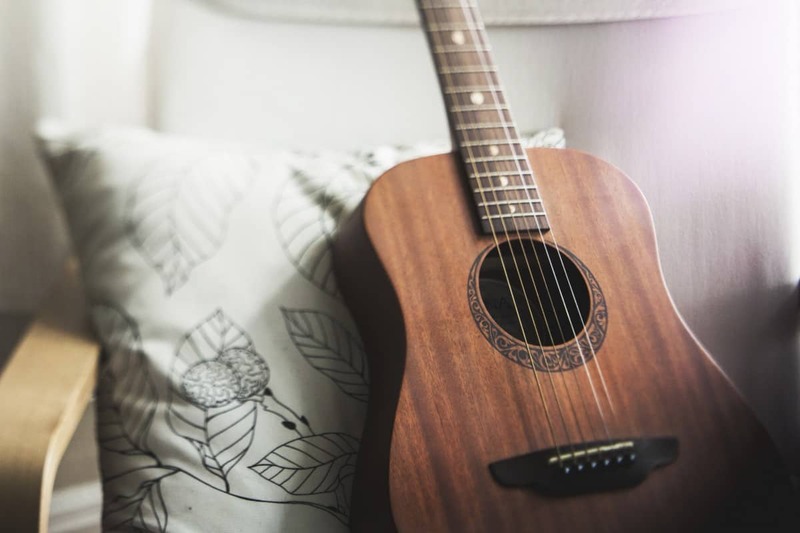 In this article, we have listed down the top 10 Best Ukelele brands, and we are sure that you will find the one for your needs. To make sure you are kept in time while playing, you may wish to buy a metronome - click for full guide. Furthermore, we have also included information such as different parts of the instrument, what makes it so special, the history of the instrument and other topics that will help you make the right decision when buying the instrument. Check out our review for a new pair of Ukulele strings. What are the Top Ukulele Brands for Beginners, Intermediate & Professionals in 2019 ? What is Ukulele and what is the history of Ukuleles? How do I choose a Ukelele? What is the best Uke for beginners? 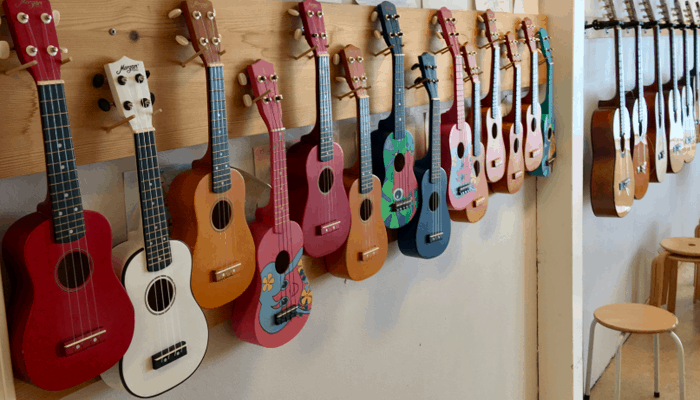 What are the different types of Ukelele? What are the different parts of Ukelele? Without any delay, let's get down to our top 10 Uke list. Outstanding build quality never is seen in an affordable ukulele before. Aquila nylgut strings output warm, sweet and harp-like tone. Top, back, and side made up of Koa wood that brings authentic sound of the Hawaiian islands. Features Aquila Nylgut strings that promise warm, sweet and balanced tone. The bridge is made up of Rosewood that promises strength and integrity in every play style. Nylon strings for best output and feel. A bunch of accessories to begin learning. Kala music company is serving the masses for more than 10 years with its entry-intermediate level ukuleles. Started from only one ukulele Kala has crafted tons of model for every consumer to hit the jackpot. From high range to best value models Kala has designed every ukulele to touch the sky of limits. The company aims to design high quality yet unique ukulele in an affordable price range so that everyone feels like home. The fact that Kala is amongst the fastest growing music companies reflects their passion and love for the ukuleles industry. Here at Kala, innovation meets tradition, passion, and quality. KA-15S by Kala is the crowd’s favorite ukulele that comes right in when you need the best for less! It excels the sound game, looks best and it’s easy to play KA-15S - is there really anything else a player could ask for? Although KA-15S target the beginners who want to get their hands on a good quality ukulele, a seasoned player can also consider this as an affordable option. Believe us that there is no going back once you have experienced this very ukulele. As mentioned above, Kala has gained some serious reputation over the years for building best of the ukuleles at an affordable price point. KA-15S proves that with its tight, clean and solid feel. Although KA-15S was meant to be a budget ukulele, Kala has appointed some serious craftsmen to build up this gem of an instrument. Most entry-level ukuleles are integrated with strings that are too high off the neck that makes it harder to play. Also known as “high action” it can cause notes to bend out of tune resulting in a bizarre output. Thanks to Kala, KA-15S plays through all that professional test right out of the box without any issues. With absolute null high action and zero buzzing, it is a dream of many to play KA-15S by Kala. No one needs another option when their ukuleles sounds best. KA-15S is all about that sweet and warm tone players love to play. Additionally, these ukuleles delivers a good amount of volume, bass, and resonance. All that greatness is achieved by light build, minimal finish and high-quality Aquila strings. Apart from sound ukuleles are also known for top-notch finish quality. KA-15S outputs a beautiful natural look with its light matte finish and smooth textured wood. Similarly, light finish allows this ukulele to resonate more freely resulting in a better tone. Body, neck, and headstock are given a light sunburst finish to give this ukulele an unforgettable character. Strings are the most basic element that backs up the output quality of any ukulele. KA-15S features Aquila nylgut strings that output a warm, sweet and harp-like tone that professionals love to play. KA-15S can surely compete with other high-end competitors in the market. + Outstanding build quality never is seen in an affordable ukulele before. + Aquila nylgut strings output warm, sweet and harp-like tone. + Rosewood fingerboard and bridge. Why We Liked It - This ukulele is an absolute choice for beginners who are looking for an affordable yet best partner. With mahogany body / neck, premium Aquila nylgut strings and satin finish KA-15S holds every element you can expect from a high-end ukulele. Looking for an electric? See these electric Ukulele options. The biggest name in the guitar history, Fender has outperformed all to reach where they truly belong. Dating back to 1946, this company has transformed almost every genre to the Fender’s way. From beginners to hot shots of town almost every musician has got their hands on Fender’s instruments and believe us that one can’t go back after experiencing the quality that lies in Fender’s products. Here at Fender, the soul mission of every employee is to reach out the music boundaries while retaining that same fire of innovation burning inside the heart. Bossing the game of music instruments Fender stands tall in the industry. Known for producing state of the art guitars (click here see our review of the best acoustic guitars), Fender has tried something different this time around to bring in more audience. Yes, it is the first ever series of ukulele models that come straight with the sound of Hawaiian islands. You just cannot argue with the quality, sound, and price that this ukulele is here to offer. Professional experience in an affordable package is the only task that Fender can afford to give out. 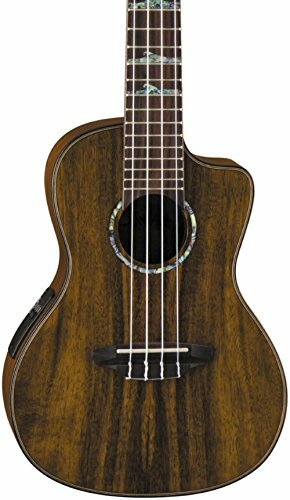 Tenor Ukulele by the amazing Fender guitar brand is made up of koa wood that comes from the islands of Hawaii with an astonishing finish of gold and reddish brown color. Similarly, a clean yet balanced tone is achieved by this Koa wood. Tweaking your new ukulele to play the right tune isn’t what you deserve as you are paying a lot. Fender has carved Tenor Ukulele to give you the experience of your life right out of the box so one can concentrate where it matters the most - creating awesome music. Tenor Ukulele by Fender features Aquila nylgut strings that are the choice of professional players. Aquila nylgut strings output warm, balanced and sweet tone so you don’t have to rush to your nearest store for getting a pack of new strings. “My Favorite”, “The best pick” and much is what we have heard from the customers about this ukulele. So far this ukulele hasn’t disappointed any user and specially those expecting a lot out of their Ukelele. Tenor Ukulele by Fender features new bracing patterns and thinner finish that allows it to produce low action notes without any buzzing. Arched backs, thicker fingerboards, thinner headstocks and much more collaborate with each other to give you one of a class experience. This Ukulele packs up all the best features that you’ll find in an expensive option. + Top, back, and side made up of Koa wood that brings authentic sound of the Hawaiian islands. + Features Aquila Nylgut strings that promise warm, sweet and balanced tone. + The bridge is made up of Rosewood that promises strength and integrity in every play style. Why We Liked It - It wouldn’t be wrong to comment that this ukulele proves its name and deliver the soothing sound of the Hawaiian islands. With Aquila nylgut strings to outputting a warm tone, rosewood bridge that promises strength and koa wood built this ukulele has some serious potential locked inside it. So you are just getting into the game of ukulele? Beginners need the right partner that will help them to enhance their skills without burdening the budget. Moukey has just got the right package for beginners to shine brightly. For over years Moukey is helping the amateurs to grow by providing the best and affordable ukulele available in the market. Well, don’t expect too much out from this company as it only aims to target the beginners. If you are just stepping in the section of ukulele then Moukey will help you to excel it in the best yet affordable fashion possible. Soprano Ukulele by Moukey stands out among the best partners that one could buy to get their career up and running. Although it's an entry-level ukulele, Moukey has designed it with top professionalism. Crafted and designed by the professionals, Moukey makes sure that this ukulele can fulfill your every need. Similarly, high-grade materials and legendary skills ensure that you get outstanding quality and rugged construction. Unlike other companies, Moukey has carefully paid attention to every detail to bring you an excellent experience. As this ukulele is meant to target beginners it is equipped with 12 frets and standard fret marks so that one could easily recognize the pattern while playing. Furthermore, it features quality nylon strings that offer clear and best sound so that you can feel what is going around. 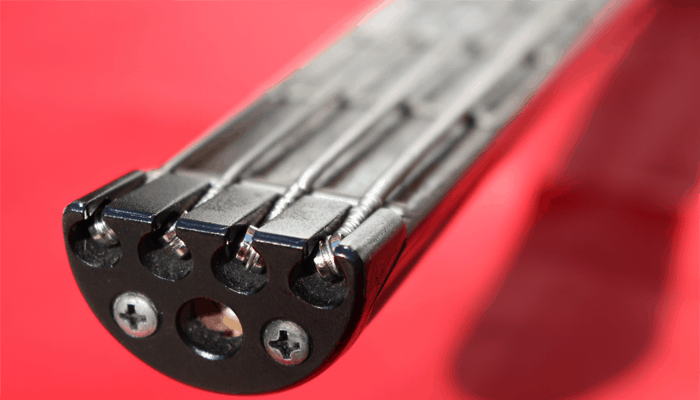 Pegs hold utmost importance when it comes to fine tune your ukulele. Moukey has equipped 4-close type pegs on the back of the neck top. Each peg is made up of high-quality material that is perfect for convenient rotating and turning. Along with the ukulele itself, you get pretty much everything to begin learning. Gig bag, electronic tuner, adjustable strap, and extra strings are just highlights of what you get with this ukulele. Every accessory you get is made up of fine quality material so you can start your journey with the best mates. Cleaning your ukulele with any other cotton cloth isn’t the best way to keep things tidy. Included cleaning cloth with the package is made up of high-grade material that keeps your ukulele clean without hurting its surface. So now you don't need to buy any extra cloth for keeping your ukulele clean. Practicing directly with your fingers can be hard when you have just stepped into the game. To keep things easy and professional you get durable picks that are made with perfect measurements to produce best sound. With two different colors to choose from, use the picks to create wonders. So the strings are broken or out of tune? Grab the four extra strings included with the package to get going with your performance. These extra strings are made up of high-grade nylon material to ensure that you don’t have to sacrifice that original sound. Anybody who wants more for less can invest in soprano ukulele by Moukey. + Nylon strings for best output and feel. + A bunch of accessories to begin learning. Why We Liked It - So you are just getting into the game of ukulele? Beginners need the right partner that will help them to enhance their skills without burdening the budget. Moukey has just got the right package for beginners to shine brightly. Known for crafting beautiful instruments for all ages, Luna Guitars sets a line to match spirit and talent. Yvonne de Villiers, the co-founder of Luna Guitars visioned this company as the paradise for every type of musician. Luna Guitars use the same high-quality materials and stuff but it's the soul of dedication that has separated the ways. Diversity, commitment, passion, and love for guitars has made Luna Guitars amongst the top manufacturers today. Today we present you concert ukulele that belongs to the most prime lineup of Luna called “High Tides”. This series is inspired by the full moon that how it moves upwards to the moon’s pull. Most ukuleles are on their own but this ukulele by Luna has something special built inside it. This ukulele features a preamp that allows you to connect external speakers for pumping up the signals. It is important that a ukulele must be made up of state of the art material as different materials have specific sound output. This beautiful innovative body is crafted with deep koa wood that promises full and deep sound making you the king of the ring. Accessing higher frets in most of the ukuleles feel hard as the cutaway blocks path of your shoulder. This ukulele’s cutaway is carefully designed so that you can easily access the higher frets with utmost comfort. Now you don’t have to panic for reaching the higher frets. 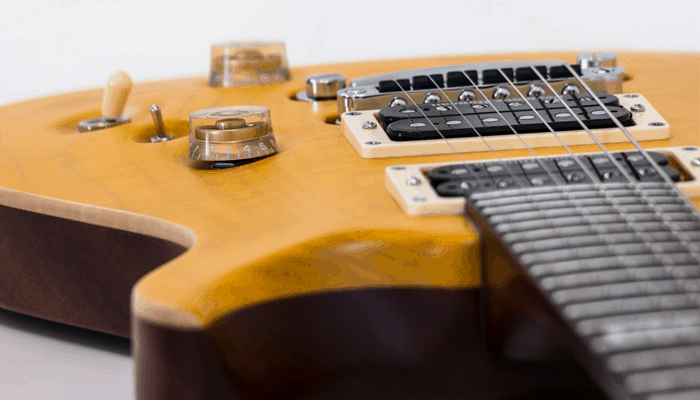 Neck, bridge, and fretboard hold immense importance in providing shape to the sound. Mahogany/nato neck, rosewood bridge, and fretboard featured in this ukulele make sure that your tone consists clarity and sustain. Tuning your ukulele can be frustrating when tuners aren’t engineered properly. To keep things perfect this ukulele features open-style tuners so that you can precisely control the tuning of your partner. When it comes to natural beauty, this ukulele is nowhere behind. Satin finish and rosewood binding applied on this ukulele output an appearance that is totally astonishing. Nobody likes to hang out with a ukulele that weighs a dozen as it ruins the tone and handling experience both. With only 2 pounds of weight, this ukulele by Luna Guitars produce warm tones and comes in handy when you want to perform for long periods. Thisc Ukulele proves the mission and the dedication of the Luana Guitars to the music world. + Body made up of koa wood for providing soulful sound and look. + Onboard preamp makes acoustic guitar amplification easy. + Open-style tuners for precise tuning. Why We Liked It - This ukulele gives you such power and features at a price that other manufacturers can’t even think of. 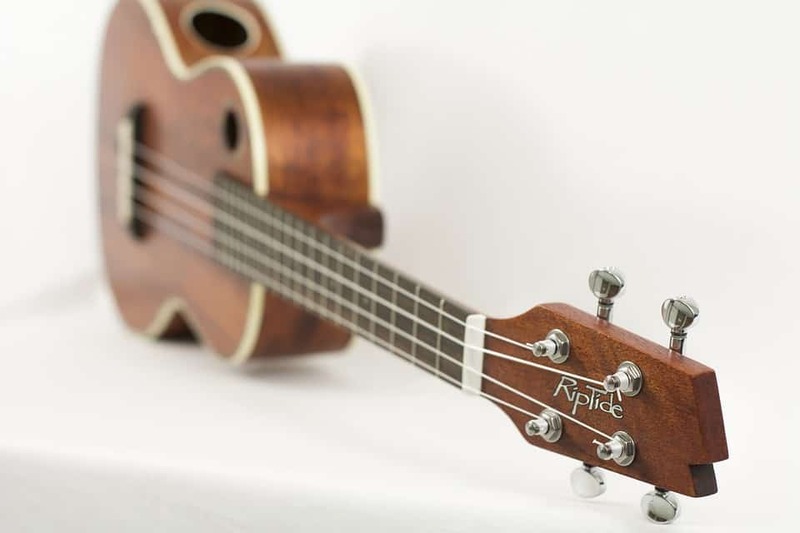 With open style tuners, onboard preamp and koa body this ukulele is ruling its league. From guitars to drums, Sawtooth provide some best value music instruments to brighten up your experience. Years of hardship and experience has made Sawtooth amongst the best known manufacturers of musical instruments. Since the start of this company the owner dreamt of providing musicians with instruments that can break the so-called barriers for achieving something out of this world. Here at sawtooth, you’ll get to meet some passionate music lovers that are here to change the stereotypes. Along with other music instruments Sawtooth also manufacture ukulele so that every musician can taste the sound of the ukulele in Sawtooth’s way. From expensive to budget-oriented ukuleles you’ll find every option in the library of Sawtooth. Today we are here to introduce you to mahogany ukulele by Sawtooth that specially targets the people who are just getting started with the ukulele. Mahogany ukulele holds best value under an affordable price range that anyone can reach. People who have bought this mahogany ukulele the first time adores the sound that lies within it. This ukulele output some seriously warm and balanced tones to make you feel somewhat professional. Although don’t expect wonders out of this mahogany ukulele, this is just a starter presented to beginners for feeling the sound ukulele offers. Similarly, don’t let the tag price fool you as it is the perfect for any beginner who wants the full feel and sound of the ukulele. Strings are the most important element of any ukulele as they manipulate the waves to give out the best sound. This ukulele features Aquila strings that produce warm, sweet yet balanced tone so you can craft some serious basics with is mahogany ukulele by Sawtooth. Build material of a ukulele reflects the tones that it will output. Mahogany is among the most prime wood types that Sawtooth has used to build this ukulele. Top, back, sides, and all the essentials are made up of pure mahogany wood. Geared tuning keys equipped in this ukulele ensures that you experience a precise control over tuning. Now it is as easy as just rotating these tuning keys in the right direction for the best tune possible. When it comes to design this ukulele is just heading in the right direction. Beautiful laser-etched rosette and natural satin finish output a supreme impression that one would absolutely love to get their hands on. Mahogany soprano ukulele by sawtooth has gained some serious audience with its one of a class features and looks. + Top, back, sides and neck are made up of supreme mahogany wood. + Aquila Strings offer warm, sweet and balanced tone. + Geared tuning keys provide precise tuning. Why We Liked It - One would never regret after investing in the mahogany soprano ukulele by sawtooth. With Aquila strings, geared tuning keys and natural satin finish this ukulele is an absolute beast for beginners. Kala is a well-known name when it comes to buying a ukulele. It all started in 2005 when this company was built to take off the ukulele game. Who would have known that Kala products would be loved and purchased by the masses? This brand manufactures every music instrument with high-quality materials at every price range. Kala builds all types of ukulele for everyone so that one could create something to conquer the music industry. From twenty-one pilots to vance joy many professional artists trust Kala’s ukulele to innovate something. All around the world Kala has gained some serious reputation over the years with its determination and hard work. Beginners often invest in some super duper looking ukulele thinking that it would aid them to touch the sky but reality is somehow different. 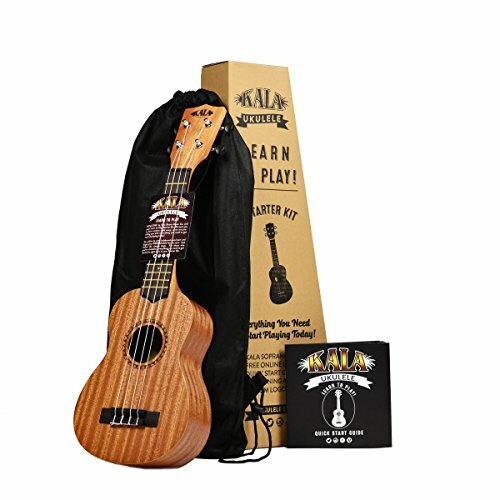 Kala Learn To Play ukulele starter kit comes with everything that one would need to carve their skills without being too harsh on the budget. You just need to spend a little and this kit offers you with everything that one would need to start playing. 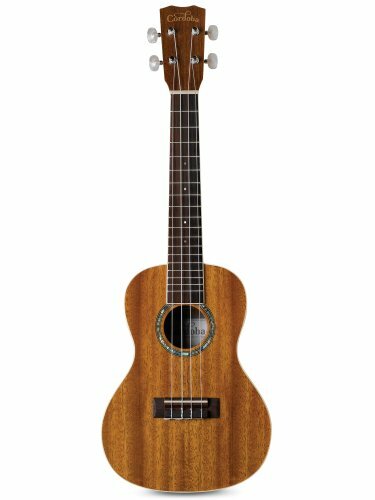 Firstly, it includes the high-quality mahogany soprano ukulele itself with Aquila strings, quality open gear tuners and graphtech nubone nut/saddle. Moreover, you get a sixteen-page starter booklet with all that tips one would need to get started with the ukulele career. Nylon strings are often featured in budget/starter ukuleles that give users with an old sounding experience, well that is not the case with this ukulele. Aquila super nylgut strings are featured in this Kala starter ukulele that are made in Italy. As a matter of fact, strings are soft and smooth to touch making a delightful experience for beginners. Just jam a bit and you’ll feel the sweet and clear sound that lies within the Aquila strings. Moreover, high-quality tuning machines keep the ukulele tuned. Now get in tune and stay in tune! Kala is known for high-quality ukuleles that have amazing appearance and tone. To pump things up on the appearance side, this ukulele is crafted from mahogany material with a beautiful satin finish that looks and sound best! Buying a special tuner is an old-fashioned way to tune your ukulele. 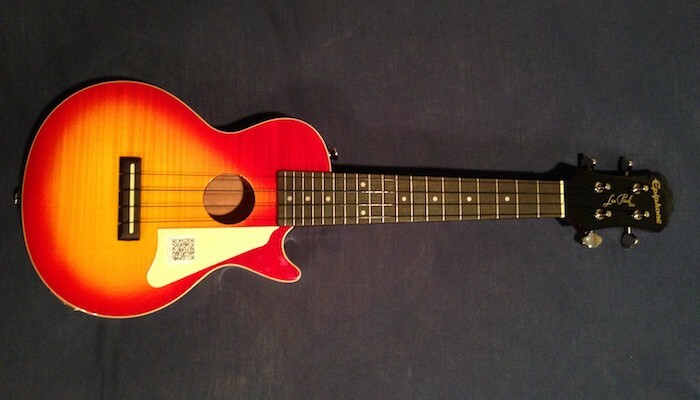 Kala’s tuner app helps you to easily tune your ukulele no matter where you are. Whether it is the studio, home or stage simply turn on the application on your phone/tablet/computer to tune up your ukulele. For polishing your skills you can simply log into Kala’s website for online lessons to learn to play ukulele the right way. 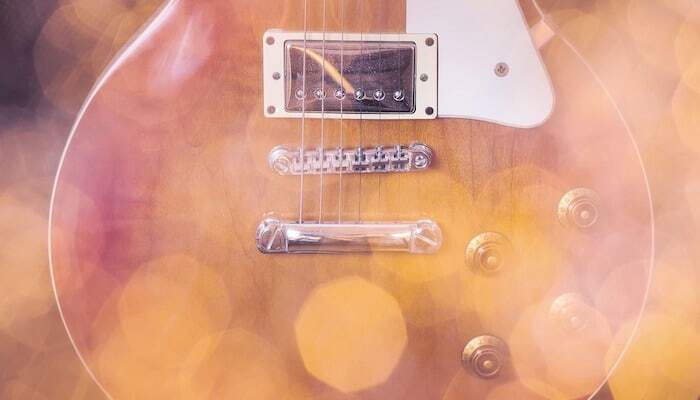 From basics to playing songs you’ll learn everything in no time with free online lessons. + Free online lessons and tuning app. + Aquila super nylgut strings. + Quick starter guide booklet included with ukulele. Why We Liked It - With Aquila nylgut strings, tuning app and free online lessons this package is perfect for any beginner out there looking for a professional start. Soprano ukulele by M Y Fly Young is perfect for pretty much every type of user. No matter who you are, beginner or a professional this ukulele has got your back to give your skills a boost of advancement. Friends, children or family members no matter whom you present this ukulele to they would absolutely love this thing. This ukulele has got everything that will make your experience go viola. Golden to darkish brown Sapele wood is used to built the back and sides of this ukulele. Sapele wood interlocks grain and have a fine uniform texture with good natural laster that outputs a premium feel. Speaking about the body and fingerboard, they are made up of rosewood. Rosewood color can vary from golden brown to deep purplish brown but this ukulele is built from golden brown rosewood. As rosewood is marked as very durable and resistant to rot attacks one don’t have to take extra care about this ukulele. Most budget breaker ukuleles offer nylon strings. 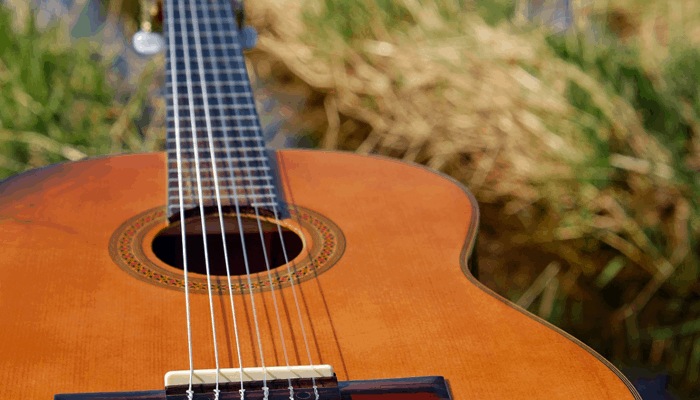 Although nylon strings offer some serious sounds, they can’t match the class of Aquila nylgut strings. This ukulele features Aquila nylgut strings to output warm, sweet yet balanced tone. So does any other budget ukulele offer Aquila strings? Neck holds an important rule in any ukulele as it supports and configures the string’s vibration for outputting the sound. This ukulele's neck is made up of Okoume material to give you the best warm tones. Moreover, Okoume grain is straight to wavy or slightly interlocked that ensures that you hear the warmest yet balanced tones. Although okoume color ranges from pale pink to light brown, this ukulele is built from a light brown okoume. Light and dark brown colors output a picture perfect character. Just pick it up and you are ready to rock the stage! To protect this beautiful ukulele from getting damaged it comes in a loose state before shipping. Just like elementary puzzles you can set this thing up once it has arrived to experience the hype that lies within it. Just don’t start playing right after putting this ukulele in one piece as you have to tune it up. Grab the medical T83GW tuner that comes along with the package to tune this ukulele. Now what, just start making history! This ukulele by M Y Fly Young promises some serious capabilities that will take you to a whole new level of making tones. + Back and side made up of sapele wood. + Aquila strings offer warm, clean and balanced tones. 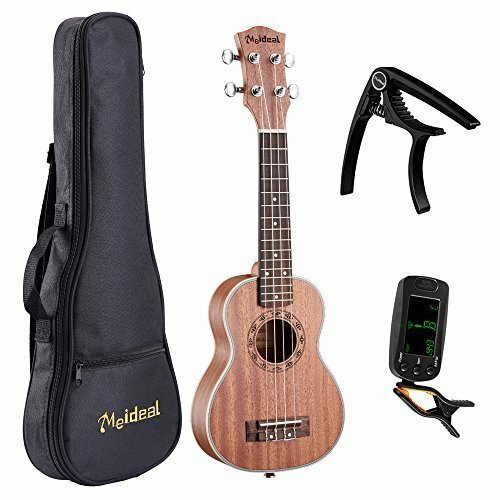 + With the ukulele, you get a tuner, black gig bag, and capo (click for review). Why We Liked It - It is not only sturdy; it is quite portable as well. The tripod legs are foldable so you can easily carry it anywhere. It will not take much space in your belongings as it is small and when folded even more so. Lohanu is the combination of three words. 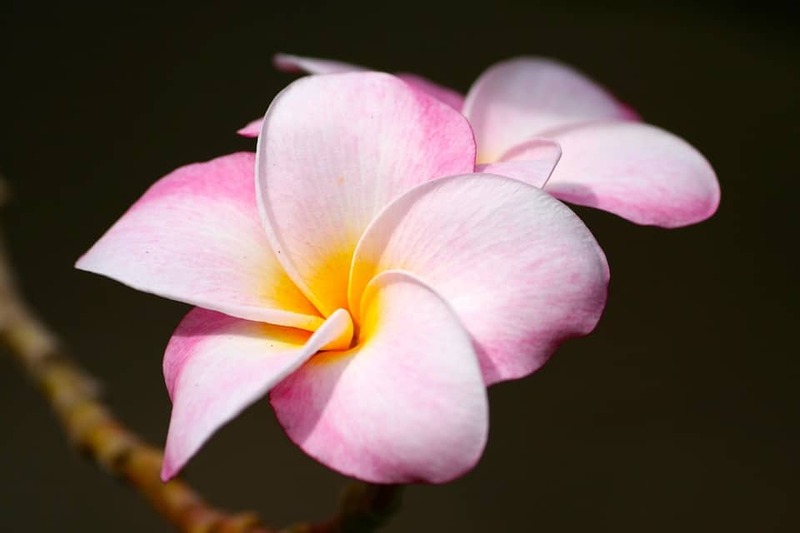 Love, Ohana which is Hawaiian word for family and unity combines with each other to give out the lohanu. Experience the sound of love and unity for your family through lohanu’s ukulele. Along with providing finest products Lohanu’s goal is to satisfy every customer. With over 97% positive reviews on Amazon this company give lifetime warranty on all ukuleles and accessories. So do you want to upgrade or buy a concert size high-quality ukulele that doesn't mss up the budget? Do you want all that starter accessories for free? Well, concert ukulele bundle by lohanu is here to rescue your needs. 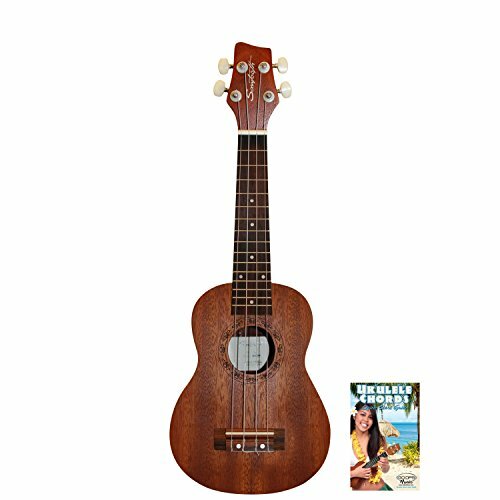 From a perfect play package for beginners to durable enough for professionals this ukulele, bundle covers all. 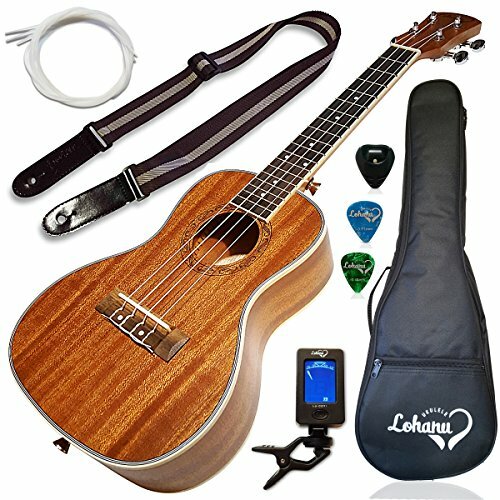 Any ukulele player, an amateur or a professional, looking for an affordable yet fantastic concert ukulele bundle will love this deal by Lohanu. Admiring the ukulele from outside you’ll fall in love with its design - it is made up sapele and mahogany wood that absolutely looks attractive and steals the show. Apart from fingerboard which is made up of rosewood, every other component is a mixture of sapele or mahogany wood. Usually, budget ukuleles output an average sound but that is not the case with concert size ukulele by lohanu. At this price, you get null buzzing sounds, zero tuning problems even when you are playing with those higher frets. You just hear big, clear, warm and bright sound all along the path. What if your ukulele or accessories break in no time? Stay relaxed and calm as this company offers unconditional lifetime warranty for ukulele and all accessories that come along. No danger, no risk, just learn at your pace and style without worrying about the ukulele and accessories. So you have no idea about playing your first ever ukulele, no worries as you are backed up by free online video lessons. 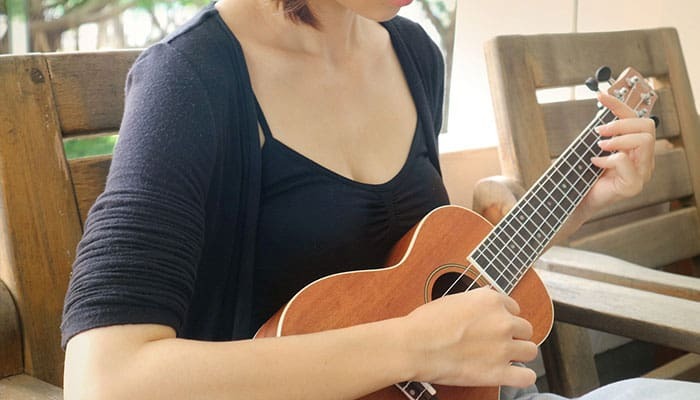 From absolute scratch practices to learning Hawaiian songs, these video lessons will help you to become a better player. All that amazing sound is achieved by Aquila strings and handmade ABS bindings. Speaking more about the strings, Aquila nylgut strings that are equipped in this ukulele are hence the best quality strings available. Moreover, arched back also contributes to the beautiful sound that you hear. You don’t need to spend that extra dollar to gather up starter accessories as the bundle has got everything for you. Strap, tuner, soft case and set of Aquila strings are just the highlights of accessories that come with this ukulele. Just buy this bundle and you are ready to unleash the potential inside you. Why We Liked It - Concert size ukulele by lohanu is the ideal bundle that one can invest in for getting into the game. With Aquila strings, free online videos and unconditional lifetime warranty this ukulele is the example of a perfect deal. In 1997 Cordoba guitars was founded with the mission of transforming nylon guitar strings to something different. Blending traditional craftsmanship with modern developments resulted in a revolution that is now called Cordoba guitars. Linking from the Spanish tradition every instrument build in Cordoba is inspired by beauty and soulful sound of acoustic instruments. Here at Cordoba, every instrument is lightweight and responsive giving users a feel of their life. Cordoba guitars didn’t forget from where they belonged, that honesty prioritized them over other manufacturers in the eyes of many consumers. Cordoba guitars are here to innovate and compete with others who have the guts to do something for the music industry. When their a conversation going about ukuleles one can’t forget about the Cordoba 15cm ukulele. 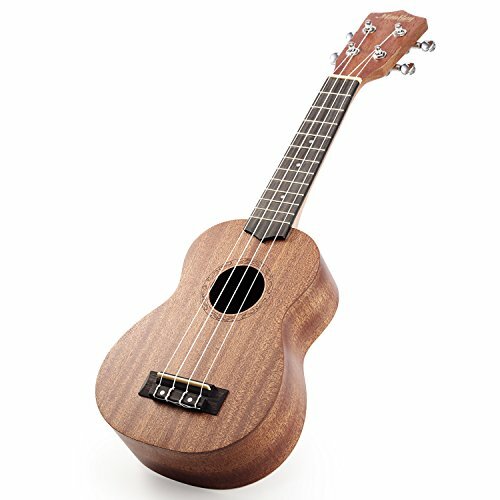 As a matter of fact, this ukulele is so unique that one can’t just stand hanging in front of it without playing (click here for guitar stand reviews). Days have passed but still, we couldn’t find any con in this ukulele, master of all you might call it. From experts to beginners users who have the fire of playing something legendary would definitely give this ukulele a chance. Reasonable price and all that top-notch features in one stop shop ukulele, now what more one could ask for? Concert 15cm ukulele by Cordoba is made by hand with premium quartersawn mahogany wood that promises ravishing playback in the price that other companies can even think of. Balanced tonality and best project are guaranteed by quartersawn wood so you can perform at a whole new level. This concert ukulele comes in between the tonal spectrum of smaller soprano and larger tenor. Longer and fuller tones are carved in by this ukulele to output a feel of high-end ukuleles. Similarly, longer neck featured in this concert ukulele makes sure that there is more tension on strings resulting in no tuning problems. Switching from one fret to another usually feels hard in long playing sessions. Say thanks to large spaces in between frets, one’s fingers can easily get used to with this pattern in no time. The fretboard is a mixture of mahogany and rosewood material that makes fretting easy and stronger. This concert ukulele features Aquila nylgut 7U strings that are mostly found in some expensive ukuleles. You get a soothing and balanced output while you are jamming with these strings. Abalone-style rosette, ivory body and fingerboard binding featured in this model sets it apart from other ukulele lying in the same price group. This entry yet professional level ukulele by Cordoba guitars leans toward the brighter side of the tone spectrum giving musicians a full and rich sound. + The satin finish gives a hell of a look. + Ivoroid body and fingerboard binding. + Aquila Nylgut 7U Strings provide warmer tones. Why We Liked It - This ukulele offers the perfect point entry for those who are looking forward to picking up the best branded ukulele under an affordable price range. With Aquila strings, abalone-style rosette and satin finish this ukulele is topping its league. From the early stages of brand development flight has aimed to provide users with best value products under the most affordable price group so that they are available to anyone who wishes to play. When the ukulele trend started to build up flight were amongst the few companies that dived deep inside the making of ukuleles. 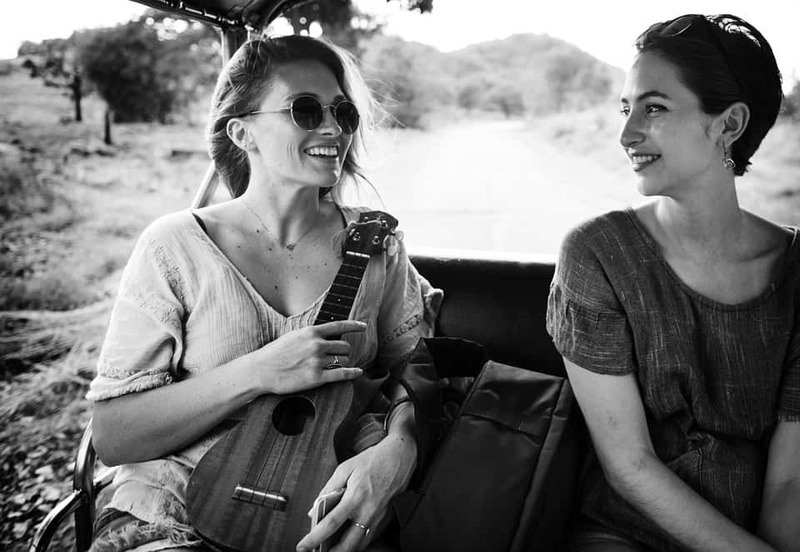 Flight took the best wood around and jotted up their expertise to release ukuleles that are renowned by masses. Each year this company is introducing new ukulele models that are touching the sky of innovation. Since 1993 flight is writing its story of success with breaking the expectations one after another. 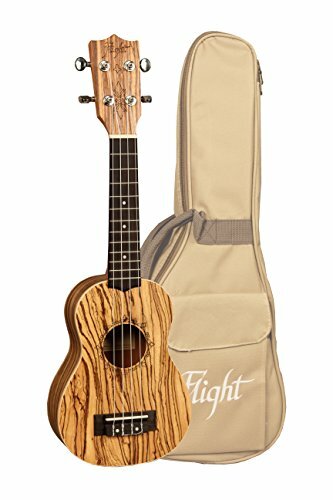 D series by flight offers a range of primo ukuleles that are crafted with state of the art woods. Today we are looking at DUS 322 soprano ukulele that features a zebrawood top, back and sides, an okume neck, rosewood fingerboard and bridge, sealed die-cast tuners and a laser etched rosette. DUS 322 is made up of all-zebrawood material. It features exotic wood pattern that looks great when paired up with the intricate sound hole design as you can see on this ukulele. Zebrawood is found in West Africa, it posses light brown color with dark brown stripes that define its name. Coarse texture, open pores, and wavy grain make this wood so special. The accuracy of pitch and friendly operation depends on neck and fretboard. That is why DUS 322 fretboard and neck are made up of African okoume and rosewood to deliver best operation with accurate intonation. And guess what? It also looks great! Similarly, here at flight all rosettes are drawn by hand and engraved by laser to give users a soulful feel. Nut and saddle hold down the strings at strict position, many other companies use plastic nut and saddle. Well, say thanks to flight you get bone made nut and saddle in DUS 322 that makes it truly special. Tuners make sure that your guitar stays in tune. Geared tuners featured in this ukulele promises that your guitar will stay in tune. Overall, this ukulele promises some serious potential. + Top, back, and sides are made up of zebrawood. + Fingerboard and bridge crafted with rosewood material. Why We Liked It - With satin finish, Okuma made neck and laser etched rosette this ukulele can take you to a whole new level of innovation. There is never a better timing to buy a ukulele then today. Known for its easy to play characteristic a ukulele has some serious potential inside. One just need to train right for unleashing the wonders hidden in the ukulele. Although there are hundreds of model available in stores, one must be specific about investing on the right contender. In present, you’ll come across many articles feeding you about the right ukulele but it is our passion that has set us apart. In this write-up, we are committed to guiding you from zero to hero. Theoretically, we’ll list down every bit of info related to the ukulele so you can judge between the devil and innocent. From history to ukulele accessories, below piece of writing covers all to give you every know how about the ukulele. A ukulele belongs to the lute family of instruments, generally, it is equipped with nylon or nylgut strings for an easy to play feel. 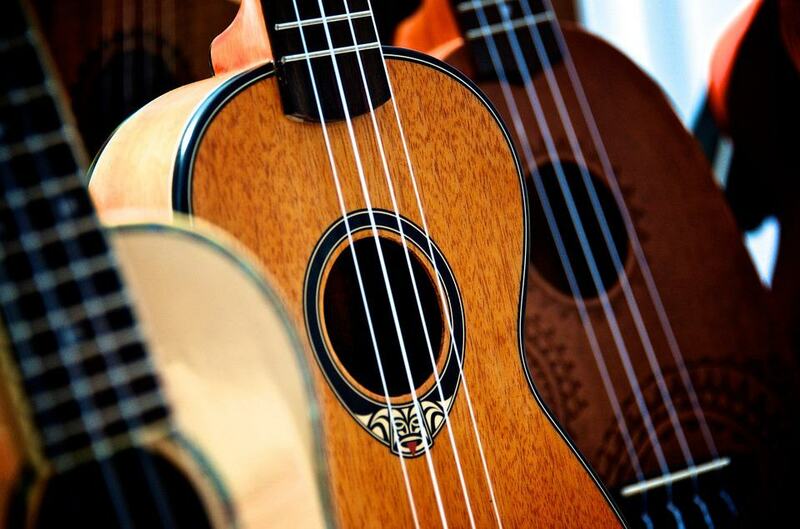 Ukulele was brought into act in the 19th century by Portuguese immigrants that landed in Hawaii. 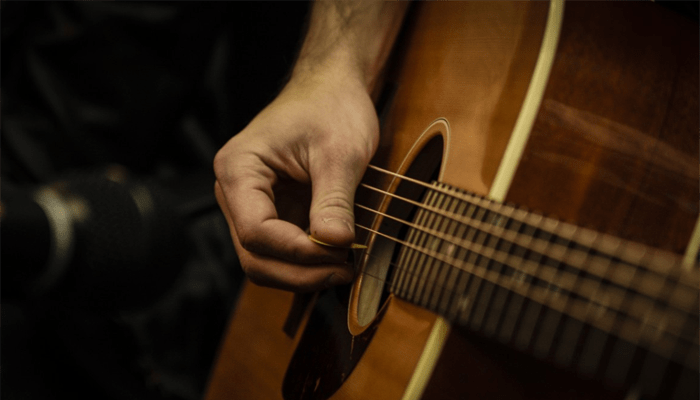 This small guitar-like instrument gained a huge amount of popularity in the 20th century and who would have known that musicians will go bonkers over this invention. It is important to know where it all started. For that just stay calm, keep up with us and move forward to know what made the ukulele so popular. Our top pick ukuleles are manufactured by the well-known manufacturers, Kala. This company loves to do what it actually does which makes it different from other fishes in the sea. Here at Kala innovation, passion and quality meet to provide you with something best! KA-15S is the most popular budget breaker ukuleles available in present. This ukulele looks great, sounds perfect and comes handy on budget which makes it the choice of masses. From beginners to professionals every user can get their hands on it and believe us you’ll get blown away by the hospitality. Although you might not get that flawless built, these ukuleles promises surprisingly good design and quality than other competitors in this range lack. High-action is a factor that almost every budget ukulele faces. KA-15S has a low action that makes it easy to play and trust us that you’ll get absolute null buzzing issues. The sweet, warm and balanced tone is all that you are getting with this ukulele that completely rocks your experience. In such price range, KA-15S defines that what Kala brand is capable of. With sweet tone, best build quality and affordable price range this ukulele can set things on fire! When it comes to premium ukuleles Fender is right up there to conquer the league. Since 1946 fender is transforming the music industry with its innovative products. From beginners to professional every musician believes in Fender to unlock the possibilities. Tenor by fender is an all koa ukulele that looks great and adds that element of professionality to your setup. The sound of these ukuleles come straight from the land of Hawaii giving you an all-natural feel. Koa wood comes directly from Hawaii with a beautiful coloring of gold and reddish brown. The tone is superb as one can expect from an all-koa body ukulele. “Very clean” and “balanced” were two terms defining the tone quality all over the customer reviews. So your ukulele buzz a lot? Well, say thanks to the best build quality and koa wood, this ukulele plays very smooth with zero buzzing. All around, this ukulele is the best option to invest in. With all koa wood built, gloss polyurethane finish and die-cast tuners this ukulele is ruling its league. This ukulele package defines every penny spent on it. 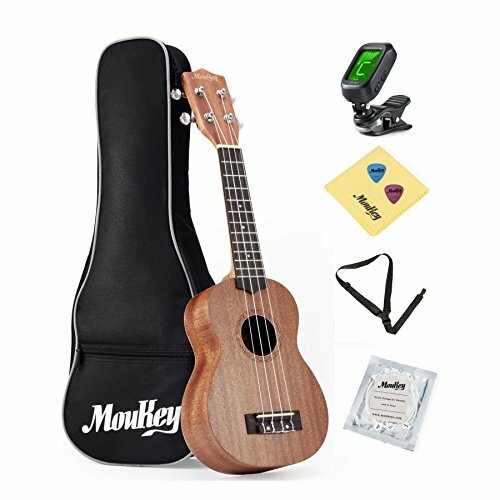 Although Moukey isn’t a popular ukulele manufacturing brand, you get a whole lot with this package to begin your ukulele career. This sapele ukulele is crafted from high-grade materials and professional skills so that you get an outstanding quality of sound and rugged construction. From body finish to every measurement each detail is carefully paid attention to for bringing you the best option. High-quality nylon strings attached to this ukulele provides clear and excellent sounds. Speaking more about the strings, they are manufactured with high-quality material and labor to give the experience of a lifetime. From gig bag to electronic tuner you get every accessory for getting started. Moukey offers the perfect package for beginners (click here for our beginner electric guitar guide) to get started with their ukulele career. With many accessories, nylon strings (read our electric guitar strings guide here), and solid design this package is the perfect starter for everyone. Three different scenarios ended up in marking of this small-guitar like instrument as a ukulele. Firstly, the movement of player’s fingers mirrors the word ukulele that roughly means jumping flea in Hawaii. Secondly, one of King Kalakaua's officer nickname was ukulele, so, because of its small-size, playing expertise and flexibility the king stated the instrument as a ukulele. Lastly, according to queen Liliuokalani uku means gift and lele mean to come - so it’s like a gift from the Portuguese people that came there. Although these small guitar-like instruments were developed in the 1880s, they got their name by the land of Hawaii (click here to read the study). Three immigrants from Portuguese traveled to Hawaii and introduced these instruments. King Kalakaua promoted this instrument and supported the immigrants, that is why the ukulele is solely linked from Hawaii. Now over to the good days, as ukuleles were inexpensive an educator J. Chalmers changed the music program across Canada using the ukulele that increased the popularity by a huge margin. Similarly, a Hawaiian born Japanese returned to Japan and introduced ukulele. The rapid success of jazz and Hawaiian music started growing in the country and people got underway to learn the ukulele. 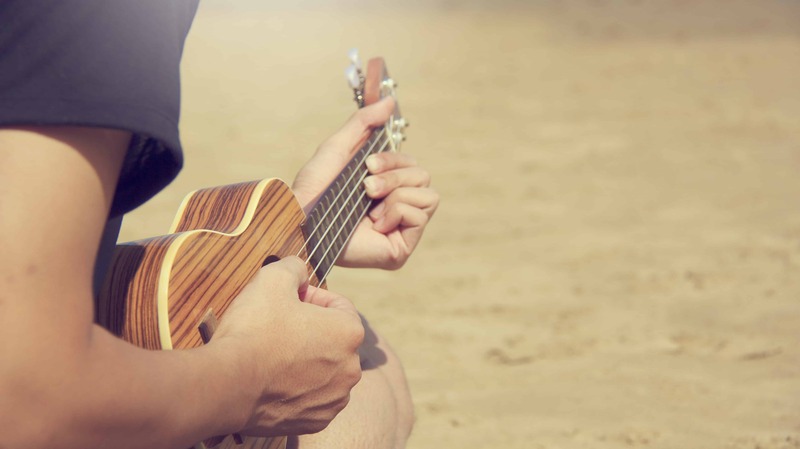 Due to ukuleles simplicity and portability, the hype also grew in the United States when American songwriters began composing music with Hawaiian themes. In the present, the ukuleles are all over the internet and music industry as everyone likes to experience professionality and crisp sound under an affordable price range. Now let us snap back to present and discuss the types of ukulele. There are around seven types of ukulele but mostly you’ll come across only four. Each has its own characteristics and style of play. Before getting your hands on a ukulele you must know which type suits you the best. Beginners often get the wrong purchase as they are unaware of different types of ukulele. Below we’ll cover all seven sorts of ukulele to give you the best idea. Also known as piccolo this ukulele measures a max of 41cm in length with a scale length of 28cm. Usually, users who just want to mess around 10-12 frets will find this ukuleles attractive. Moreover, it covers a range of G4 to E6 with a common tuning of D5-G4-B4-E5. The pocket ukuleles are rare in the market as the idea is interchanged by the next ukulele in line. Sopranos are called the standard ukeleles. These sopranos are considered as the smallest in family. 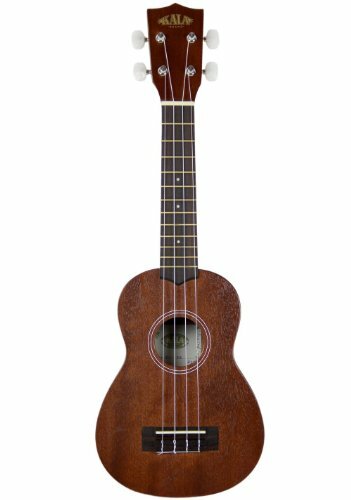 These standard ukuleles has a typical length of 53 cm with a scale length of 33 cm making it the ideal partner for newbies. These ukuleles holds a decent range of C4 to A5 with the common tuning of G4-C4-E4-A4. Next up we have concert ukuleles that are a little bigger in size when compared to sopranos. They hold a length of 58 cm with the scale length of 38 cm producing somewhat deeper and louder sound than sopranos. This ukulele has 15 - 20 frets and more room in between each making it easier to handle. Also known as lili'u or taro patch this ukulele has an overall length of about 66 cm with a scale length of 43 cm. Tenor outputs a classic sound and has more than 16 frets with a range of G3 to D6. Bari, Bari uke or baritone, whatever you might call this ukulele (click to find out where the name originated), it promises some deep and resonant sounds, all thanks to the 74cm full length and a scale length of 48cm. You get 18-21 frets on this ukulele with a range of D3-A#5. Although bass ukuleles aren’t popular enough in the market, some musicians prefer to get that punch of bass. With a typical length of 76 cm and scale of length of 51 cm this ukulele output some serious warm tones. Bass ukulele holds a range of E2 to B4 with a common tuning of E2-A2-D3-G3. Contract bass ukuleles are designed to cover the opposite side of bass sounding. Also known as U-Bass or Rumbler ukuleles they have a length of 81cm with 53 cm of scale length. Offering a range of E1 to B3 with a common tuning of E1-A1-D2-G2 this ukulele is very rare. Above we described every single type of ukuleles so that you can judge and pick the best according to your needs. Now let us move and look for different shapes of ukuleles available in the stores. Although shapes don't count much on the budget side, different shapes can output various tones. We’ll look at the most common shapes that ukuleles offer. This body profile is linked to the land of Hawaii. Pineapple body was a Hawaiian innovation that was used on instruments made by the Kamaka ukulele company. This shape gives a soothing Hawaiian look to your ukuleles. Like any other typical guitar, this shape is very common among ukuleles. This shape has a curved portion of the upper body referred to as the upper bout, which is smaller than the lower bout. Modern designs have cutaways in the upper bout that allows easy access to the upper frets. Amongst the three shapes boat paddle is very rare as this design takes a lot of effort but doesn't perform that well, especially if you’re a beginner. So which shape do you prefer? It is important to know that which construction method ukuleles uses as it greatly affects the sound quality. Keep up with us to dive into a greater detail of construction insights. Construction methods are divided into three sectors, we’ll explain every single one of them so that you can get a good idea that what is offered. Cheap ukuleles that are targeted for young children are often made with plastic. Plastic is the oddest material when it comes to ukuleles manufacturing. One shouldn’t invest in plastic made ukuleles if he/she is serious about starting a career. 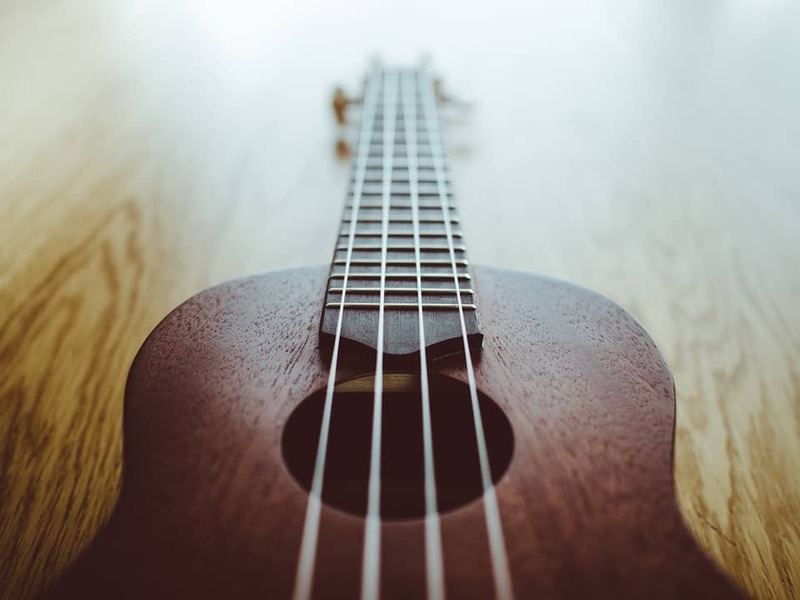 If you are buying a birthday gift for your five-year-old son then investing in a plastic made ukulele won’t be a decision but for serious needs, we would not recommend the plastic made. For Dummies, ukuleles constructed with laminated wood targets the affordable side. In theory, a laminated wood ukulele has several thin layers of wood glued on top of each other. On the good side of the story, laminated wood is a little stronger and more prone to cracks. Although ukuleles constructed with laminated woods are affordable, don’t expect much out of them in terms of sound quality. Consist of only one type of wood, a solid wood ukulele promises some serious resonant. Solid wood construction is mostly found in mid to high range ukuleles. Solid-wood ukuleles tend to produce richer tones with a deeper sound, making it the option that you can go a long way with. Plastic is way out of the league if you want are a serious musician trying to impress the masses, it is even no suitable choice if you are beginner but wish to take up music professionally. Solid wood is the best choice amongst the build material. However, beginners can also consider laminated wood ukuleles to create unique tones. Now we’ll look at the most common wood types used to make ukuleles. This wood is grown in many parts of the world but all share almost the same characteristics. Mahogany is used to built necks for outputting a darker and warmer tone. Straight from the jungles of Hawaii, this dense tropical wood is among the popular choices. Beautiful grain patterns, a wide range of colors and a balanced tone prioritize this wood over other contenders. Known for its hardness and denseness this wood is commonly used to built fretboards and bodies. Rich color combination and resistance over rot makes it the perfect choice for adding spice to the visual appearance. To achieve a mellow and round tone cedar wood is used as it's softer than others. Mostly it is used to produce lower notes in tenor and baritone ukuleles. Now we’ll look at some main building blocks of ukuleles. It is attached to the neck by holding down the tuning pegs or tuning machines. These rotatable knobs hold the strings at one place and can be adjusted to tune the ukuleles. Also known as the fingerboard, it clutches the frets and has position marker dots for the feasibility of player. Bridge holds the saddle and the tail end of strings are knotted on it. Basically, it supports the strings from the lower end. To correctly keep the strings aligned nut couple up with saddle. A ukulele is capable of working out versatile tones but you need to dial in the required tuning for listening to the required output. 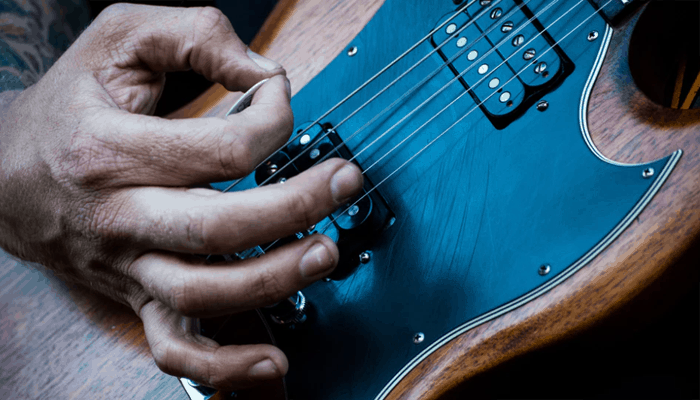 We’ll list down some common tunings that will help you to build up and experiment more and more. C6 tuning is the most popular yet common tuning (G4-C4-E4-A4). To turn up the close-harmony chording the g string is tuned an octave higher. Similarly to lower down the effect the g string is tuned an octave lower. Also known as higher string-tension D6 tuning it is one step higher than the C6 tuning (A4-D4-F#4-B4). 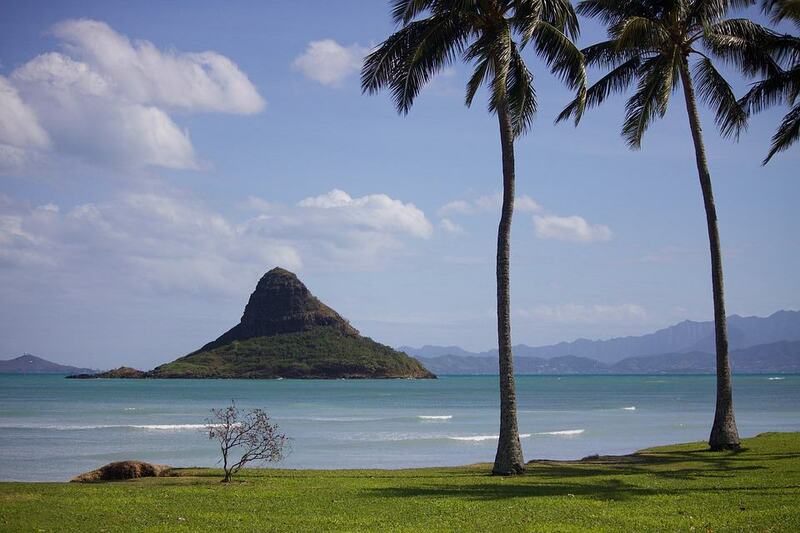 This tuning was considered to bring Hawaiian boom to the music as it produced sweeter yet smaller tones - read the study on the sound frequencies and tones here. To bring the Canadian affect one can lower down the A string octave. You can also tune your ukuleles like dotara. E-B-E-A is the easiest way to tune your ukuleles in the dotara mode. Now you can add that Bangladeshi sound to your personal ukuleles. All ukulele types have an alternative tuning. One can use different arrangements and alternative tuning to produce some interesting sounds. You can use the electronic tuner to tune your ukuleles easily. Tuners have a mode that matches up with the strings on the ukuleles. Now you can experiment with different tuning to create something innovative. After all the juicy gossip one must also look for accessories that you can use to master the ukuleles experience. We’ll list down some important accessories that one should pick alongside the ukuleles. An electronic tuner makes it easy to tune up your guitar. Just turn on the tuner, play the strings and adjust the tuners according to the signals displayed on it. You can also set different tunings with the help of it. For most beginners, it is hard to play strings from fingers. In this case, one can buy a set of high quality picks for a best start to the ukuleles journey. Apart from the featured strings in guitar one need to have a backup as you never know what might break it. Aquila nylgut strings are state of the art choice for making your experience go viola. Huff! Yes, we know that this write-up was lengthy as hell but by going thoroughly through it you’ll be able to pick the best and most suitable ukulele as per your needs. Something is missing, right? Yes! It is our time to introduce you to the top three ukuleles that we have handpicked to satisfy everyone’s need. So without further ado let us get started! This question as you can see has two parts. We’ll answer them both separately. Ukelele has been around for some time now but it would not be wrong to say that only recently musicians have started taking it seriously. Previously, it was usually considered as a toy and nothing more. 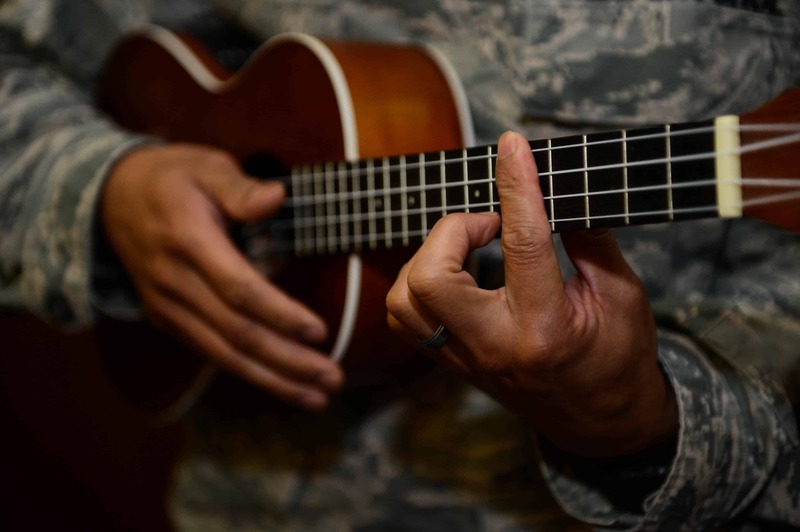 Adoption from artists like Eddie Vedder, Jason Mraz and more have persuaded others to take Ukelele more seriously – and why not, as it produces such a pleasing sound. Another famous music artist Jake Shimabukuro showed the world that this instrument could do wonders if it is in the right hands. This small, guitar like musical instrument is very much capable of producing nuanced music. Jake’s piece “While My Guitar Gently Weeps” is a result of his amazing talent with Ukelele and has been watched over a 12 million times on the Internet. Most beginners tend to confuse Ukelele with a guitar because of it looks. It looks very similar to a guitar but in reality it is far more uncomplicated. It has only four nylon strings, which are easy on fingers, easy to learn and make this instrument one of the favorites of newbies. There are mainly 4 types of Ukes – Standard (also called Soprano), Concert, Tenor, and Baritone. The length of this cool musical instrument ranges from 21 to 30 inches, which makes it pretty handy. The scale length however, remains between 13 to 19 inches. For beginners, the Soprano or the standard one is highly recommended. Not because it is the smallest but it is very easy to learn as well. For professional players, Baritone is most likely to answer your requirement. Let’s now take you to the history of ukuleles. The Ukelele was first developed in Hawaii in the 1880s (read the study). The inventors were Portuguese immigrants who were mainly carpenters, masters in the art of crafting wood. These immigrants were deeply into music and wanted to create something they used back in their homeland. Ukelele they created in Hawaii was not entirely similar to what they used to have in Portugal but it produced the same sweet music. In its early days, it wasn’t so popular as the immigrants only used to play it in small gatherings and nothing really fancy. Thanks to the support of King Kalakaua, this musical instrument gained popularity. He was a music lover and was quick to identify Ukelele and its potential in the music world. The ukulele was regularly played in his courts at that time. The term Ukulele means a jumping flea in native Hawaiian. The main reason behind naming it Ukulele is because of the quick movement of the player across the fretoard. FYI – The British spell it as Ukelele. 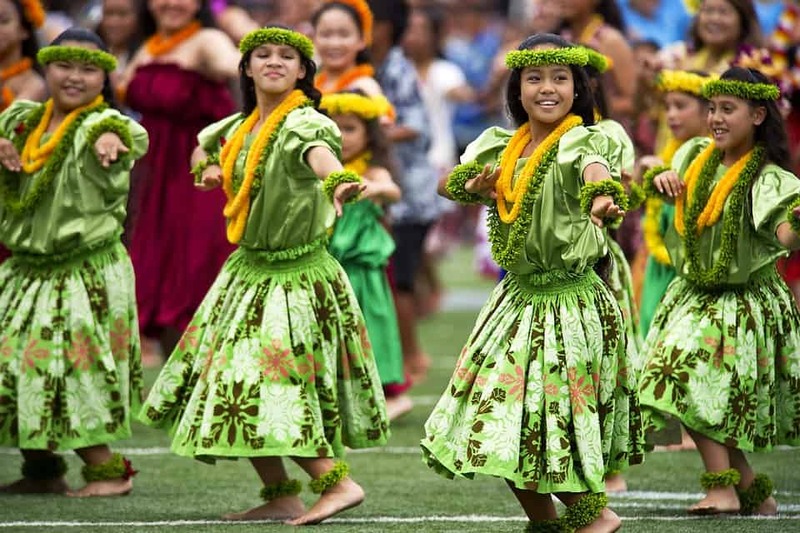 The trend moved to the US in the early 1900s where songwriters began to take inspiration from Hawaiian culture and music. The American people really liked the Ukelele players and soon the ukuleles made its way to the Jazz age. The people really started liking the music it produced and its cool, new style. The image of a college student, wrapped in a raccoon coat and holding a Ukulele was soon to be seen everywhere. The publishers were quick to realize the potential and the growing popularity and soon began publishing the songbooks for ukuleles. The instrument manufacturers were not behind as they soon started building different types of Ukuleles for the masses. The use of these musical instruments continued from 1940 to 1960 but sadly it’s popularity declined. That, however, soon changed with the 1968 hit Tiptoe Through The Tulips. The music world again started taking Ukelele seriously and the manufacturers began to receive massive demand. One more reason for its popularity is its inexpensive plastic design. The music enthusiast at that time fancied Ukelele over guitars for learning the basic tricks of the game. 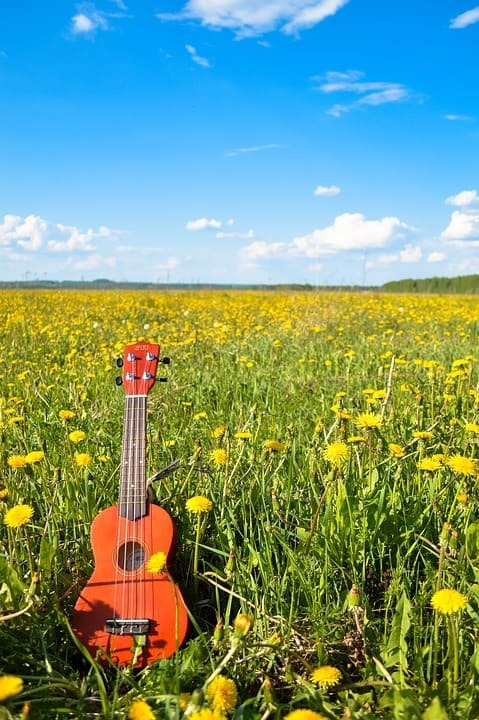 Since 1968, the popularity of the ukuleles has only seen an upward trend as it got featured in numerous T commercials and Movies. Solo YouTube performers and adoption by the rock, pop and folk musicians have also given a great boost to this cute little instrument. Well, there is no one size fits all approach to this one. There are different types of Ukuleles being made by the manufacturers – which one you should choose will depend upon various factors like your level of expertise, your requirements, your budget and most importantly what are you trying to produce with that. If you’re a beginner with a limited budget you should surely go for the Soprano type. If budge is not a constraint, you can also try the Concert. Ukelele can cost from a few hundred dollars to thousands. It all depends upon your requirement. A cheap ukulele might serve your purpose but it would not be a best choice for someone who is a professional musician, trying to impress the masses. Similarly, if you’re new to the music world, you should not be going for a Ukelele that measures more than 15 inches in scale length (as it is easy to learn and master). However, if you’re already a master, going for the high-end ones can be the best choice for you. Here we would also like to suggest that a little research on the types, sellers and different manufacturers of Ukuleles could go a long way. Buyers with more knowledge about a product are more likely to buy the best thing for themselves. 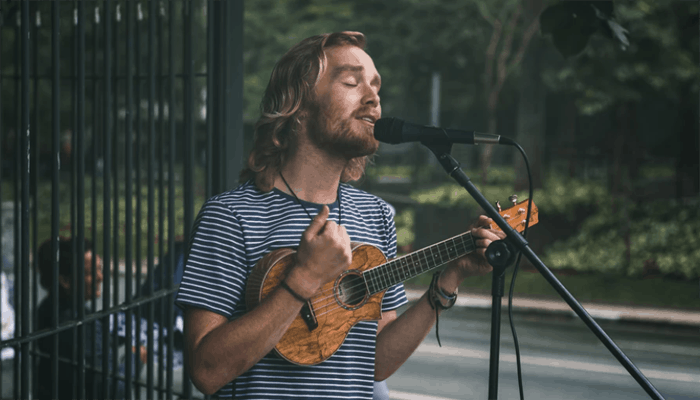 So, in a nutshell – which Ukelele to choose would entirely depend upon your requirement combined with some research and knowledge about the ukuleles. The first thing to keep in mind if you’re beginner is that you BUY it! Don’t overthink and keep your focus more on learning. Having said that, here are a few basics of buying your first ukulele. A beginner usually considers two things before buying ukuleles. Number one is the prize tag and number two is the ease of use. Keeping these two in mind we have a perfect product that can put a huge smile on beginners face. Yes, we are talking about the Cordoba Concert. This cute musical instrument has everything you could ever ask for. The price tag is something that can make you pick it up in an instant. The size is ideal for beginners and the learning time is quick. All in all, it’s a complete package for beginners. This is not an easy answer. People spend hundreds and some even thousands to buy a perfect Ukelele. And guess what, they are all very happy with what they buy. So, how much to spend becomes an even more difficult query to answer. We believe it all comes down to two things. What do you want from your instrument and how much is your budget. We have seen professional music players creating magic on a cheap Ukelele. 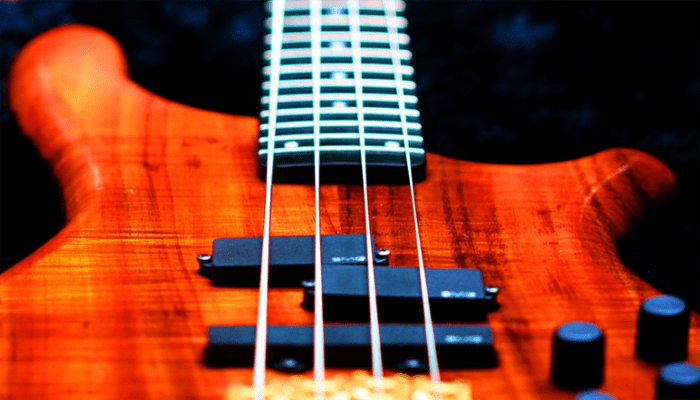 Having said that, there will always be limitations when you buy a low-end instrument. No matter your skill level, you’ll face a barrier, which will prevent you to explore your potential fully. But it will surely do the job. So, if you’re a pro with a tight budget, you should try and pick up different ukuleles with low price tags and which ever feels perfect should be bought. And if you’re a pro with no budget limitation, you should definitely think about buying a high-end one with every feature possible. However, if you are a beginner you should think about buying the least expensive one. This is because you will be highly unlikely to predict your future as a ukulele player. Once you begin to find your feet with the instrument you can always upgrade. We have already named the top 4 types of this musical instrument above. In this question we will try to explain them briefly as well. Ukelele at its most basic level is what we call Soprano. It is a standard instrument with the basic built. It usually costs lower than other types as well. It is the smallest instrument available in the family and thus considered to be the ideal choice for beginners and music enthusiasts. The scale length of Soprano measures around 13 inches while the over all length doesn’t exceed 21 inches. These small dimensions make Soprano extremely easy to handle and learn. The sound it produces is the benchmark why so many fell in love with this instrument in the 1960s. Some manufacturers also call it the standard type, as this is the closest instrument to what was first produced in Portugal. Next type is the Concert Ukelele. It is a little bigger in size and the sound it produces is somewhat different to the Sopranos. The scale is 15 inches while the over all length is about 23 inches. The loud sound it produces makes it an ideal choice for live performances in front of a small to medium crowd. Next up we have Tenor Ukelele. The size of the scale on this one is around 17 inches with its body measuring 26 inches. Not something you would like as a beginner but surely a classic when a pro is handling it. It has a larger fingerboard for more experienced and grown up players. It is an ideal instrument if your job is to impress mid size to larger crowd. It is also extremely gentle on fingers, which ensures long hours of continuous playing. Baritone Ukelele is the 4th most common type of the instrument in the market today. Its scale length is 10 inches while the overall length is 30 inches. The Baritone is also the most expensive of the lot. However, when you talk about the value for money aspect, nothing can beat it. The sound it generates has a much deeper base ideally suited for professional players. If you’re into guitars, it can be tuned easily. We say, it can be your ideal choice for the second instrument. Due to ease of use, many guitarists find the transition to Barione very easy. Typical ukuleles consists of the following parts. This part is the top most thing attached to the neck of the instrument. It is used in tuning. Tuning pegs are small screw like things attached to the headstock. These are also known as tuning keys, which are used to adjust the tension in the strings. It is the middle part of the instrument, which connects the headstock to the main body. It supports and holds the fretboard. It is the main part of the Ukelele, which is hollow and primarily used for sending the vibrations from the strings to produce what we call music. It is mounted on the lower end of the body. It’s a place where strings are knotted down.